Our nametag template has been created in Microsoft Word format and is designed to work with Avery nametag labels. 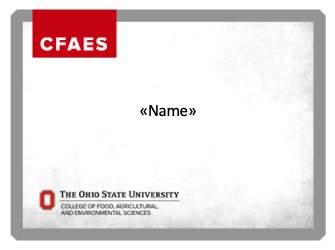 It is available to all members of the CFAES community with Ohio State login credentials. Please email CFAES_BAT@osu.edu if you encounter any problems accessing the file.